Android users are all eagerly awaiting the Jelly Bean update. If you happen to be an owner of the Motorola Xoom tablet then it is your lucky day. Google has announced today that they will be rolling out the update to Motorola Xoom devices. There is a slight asterisk in the announcement however as only those in the US and with a Wi-fi version of the tablet will be able to get the Android 4.1 Jelly Bean update. No word on when other owners will be able to get their hands on the update. “This latest version of Android is the smoothest one yet – with an improved user interface and response to your touch, people are calling it ‘buttery,'” according to the announcement. So far Google has brought the Jelly Bean update to its Nexus 7 tablet and will be rolling it out to the rest of its Nexus devices such as the Galaxy Nexus. This makes the Xoom relatively one of the first in line for the update that brings them a smoother user interface as well as the ability to use voice dictation and maps while offline. 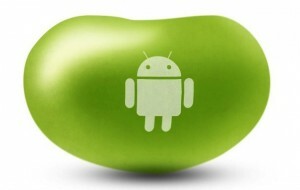 The Android 4.1 Jelly Bean update is sure to be moving slowly to the Android user base. While Google is taking care of its Nexus and Motorola devices, HTC has already said they are looking to roll it out to some of their HTC One phones. It looks like patience will be a virtue as the update will sure to be hitting more and more Android users in the coming weeks.